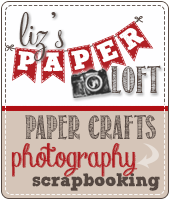 Liz's Paper Loft: MCT January Release Sneak Peek Day 2 ~ party time! MCT January Release Sneak Peek Day 2 ~ party time! 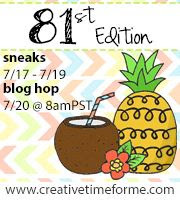 Hi, today is Day 3 of My Creative Time 63rd Release Sneak Peek! I have a super fun project that would be awesome for any birthday party! A fun treat holder and the small label die, which just happens to be the freebie are to "die" for! 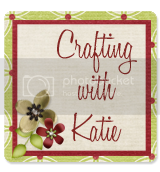 This took lots of die cutting and some paper piecing, and heat embossing the darling label to create. If I were doing a bunch of these for a party I would put in a cello bag and add a bow at the top! 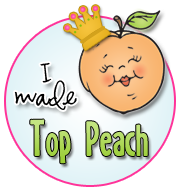 I only used the back layer of the label die, there is also a smaller one with stitching. OMG Miss Liz WOW Your Party Treat Box is Totally Adorable!! 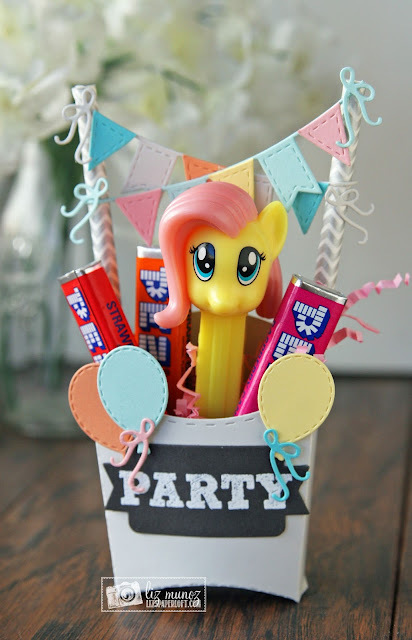 I am loving your fab idea with the pez dispenser and refills...definitely a brilliant idea and your banner is so cute...gosh you came up with so many cute & clever ideas for your treat box and they all came together for a Spectacular look!! 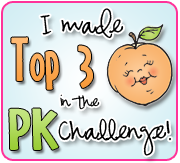 You so outdid yourself and did one Super Outstanding Creative Job!! This is so festive. You have given me an idea for my grandson's birthday party. Such a cute party Treat box! How fun is this??? 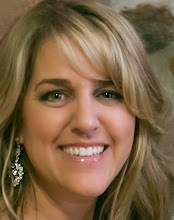 So adorable, Liz!!! So fun! I can picture the delight in the recipient's eyes. Another super cute treat box! I love it... and right in time for Valentine's Day!! Liz, this is adorable, lovin how you used all these dies, so super cute! OMG Liz, so darling. Love everything about your project. Any child would be thrilled to receive that. Cute, sweet and so much fun! What a fun idea! I love all the elements, especially the banner. Wow, that is such a cute treat box! I love the banners in there! This is adorable!! Such a super fun birthday treat box! 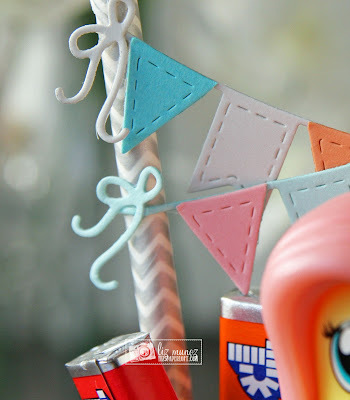 !I love the cute balloons, banner and label! This party favor is beyond awesome. It is too cute with the pony and party banner. Seriously an awesome party favor! The cute little banners you added are so adorable! LOVE everything about this! Oh wow Liz this is freaking adorable!!!! I love the banners...love the candy and the pez... this is the cutest little treat box!!! TFS! OMG!! 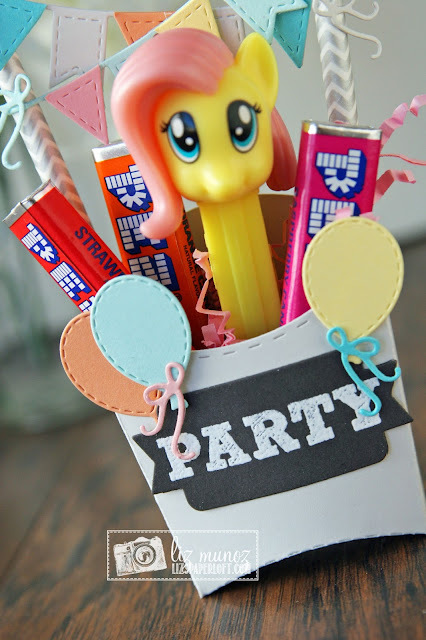 This Is Absolutely An Adorable Birthday Party Treat Box Favor!! !